At Values Voter Summit, Senate Majority Leader Mitch McConnell expresses confidence that President Trump's current U.S. Supreme Court nominee will be confirmed. 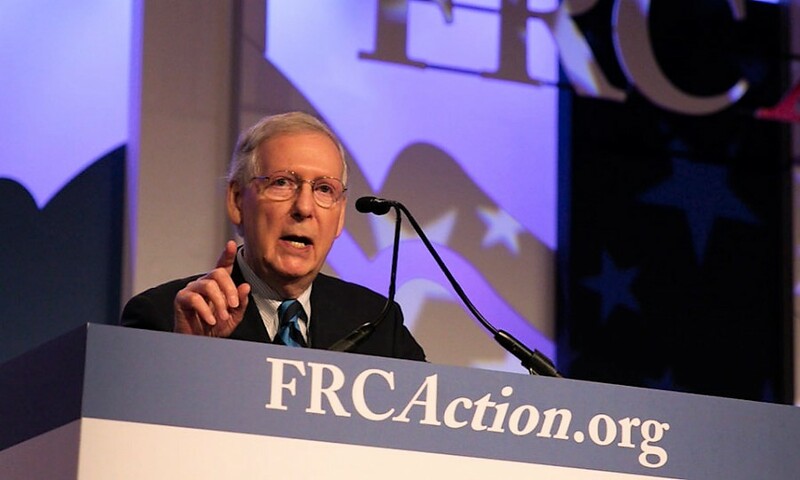 On September 21, Senate Majority Leader Mitch McConnell (R-KY) addressed the Values Voter Summit in Washington D.C., hosted by Family Research Council Action. Nearly 2,000 conservative activists descended on Washington, D.C., today for the 13th annual Values Voter Summit. Hosted by Family Research Council Action led by Tony Perkins, the three-day conference features speeches and breakout sessions by several top public officials as well as politically conservative religious figures. Friday afternoon will feature Secretary of State Mike Pompeo, while Vice President Mike Pence will speak Saturday. FRC Action hosts a video livestream during the entire event. Senator Mitch McConnell, R.-Ken., was among the first summit speakers on Friday morning. His remarks on Judge Brett Kavanaugh’s ongoing (and contentious) confirmation process made global headlines. In introducing McConnell, Tony Perkins praised the senator’s resolve in ensuring the open Supreme Court seat remained vacant through the 2016 election. Perkins serves as a member of the informal White House Faith Leaders Initiative. The current battle over another Supreme Court vacancy has consumed the news in recent weeks. On July 9, President Trump nominated federals appeals court Judge Brett Kavanaugh to the Supreme Court. The Senate Judiciary Committee held confirmation hearings for Judge Kavanaugh on September 14 through 17. Following the confirmation hearings, a woman came forward with allegations from 36 years ago when she and Kavanaugh were in high school. She claims he sexually assaulted her. 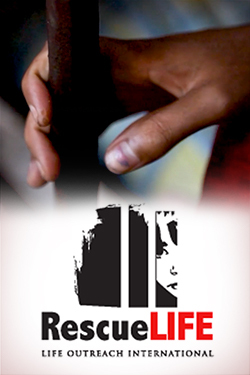 Some observers have minimized the charges as a delay tactic. McConnell’s next comments on the current nomination hit the news within minutes. With the midterm elections seven weeks away, the Senate majority leader set the stage to focus on Republican accomplishments since President Trump’s election. He discussed the benefits of the recent tax reform law, notably year-over-year wage growth. McConnell also pointed out there are currently more job openings than people looking for work. The Senate leader did not mention several legislative disappointments. High-profile efforts on immigration and criminal justice reform have, thus far, not been successful. Values Voter Summit attendees have particular concerns. The Pain-Capable Unborn Child Protection Act, a priority of pro-life groups, failed in the Senate by a 51-46 vote in January. Currently, the annual funding bill for the Dept. of Health and Human Services continues to grant Planned Parenthood $286 million every year. Nonetheless, with elections looming, conservative activists are laser-focused on ensuring the balance of power in Congress does not shift. Most see a host of issues tied to Republican success in November. Explore The Stream’s complete political coverage and sign up to receive top stories every week. What a breath of fresh air and bracing strength about now from a Republican. Thank you Majority Leader McConnell for your unflagging stand and resolve. Just to watch the Globalists tremble makes it all worth it. And the silencing of the NeverTrumpers is a beautiful thing! With all due respect to Senator McConnell, talk is cheap and I’ll believe in a Justice Kavanaugh when I witness it. With all due respect to you – and respect is certainly due you – is the Leader’s talk actually cheap? He’s spoken this way before and results have followed. The man is a steady hand on the helm, who sees above the current fray. Thank God! And also, good sister, does not the word of God call for us to see victory on the inside and work from that instead of giving our Amen to what the devil’s crowd is doing? Thank you for your respectful reply. I admit to a lessening of faith as unwarranted attacks from all sides ensue against Judge Kavanaugh. I believe that Senator McConnell is a man of his word. But politics is a slippery business as we have witnessed recently and the looney Leftists are like that lion seeking whom he may devour. I suppose a good re-reading of Psalms could help bolster my confidence in God’s hand in this trial, but I remain skeptical. Is there no room for a doubting Thomas? Must we always live on a high mountain of faith? No, but we should hang onto some of it. Yes, the Psalms, when David was at a nadir, he would rehearse his victories. Those REALLY did happen … So with us in this awful, awful time we’re going through – together, thank God! – remember: HILLARY CLINTON LOST – L*O*S*T – THE 2016 election against all odds … Among all the Trump achievements, one of my favorites and perhaps one of the most miraculous, other than the US embassy moving to Jerusalem, YOU CAN ACTUALLY FIRE – fire! – PEOPLE AT THE V.A. Do we really take in what a bureaucratic defeating accomplishment that represents! Some of Pres. Trump’s actions will endure beyond a future Democratic administration.